Why serve ordinary side salads when extraordinary dishes like an Italian-inspired grilled bread salad offer a fresh twist? 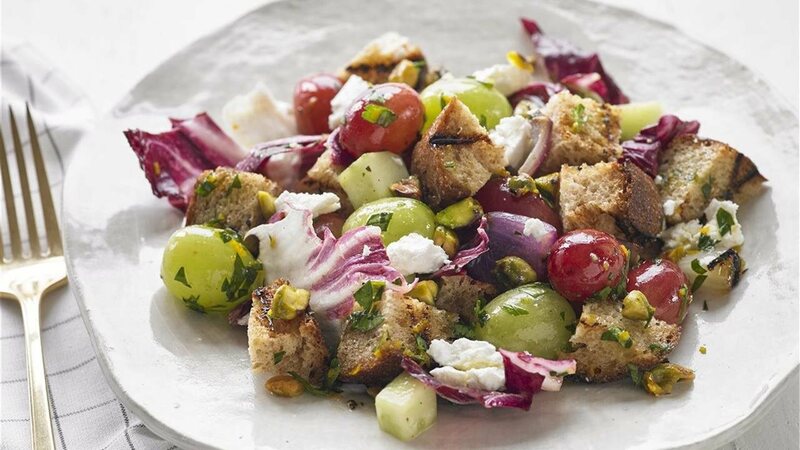 Panzanella Salad with Grapes and Radicchio pairs grilled Italian bread and onions with a refreshing combination of radicchio, cucumber and grapes. Tossed in a zesty dressing and garnished with crumbled goat cheese, this salad adds a touch of wow to any menu. Speaking of dressing up, remember that any color of grapes from California — red, green or black — make the perfect edible centerpiece. 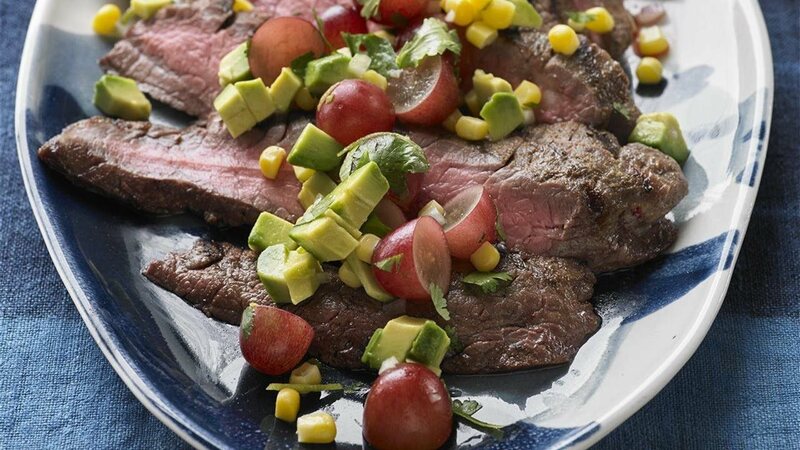 For a low-calorie dessert, try freezing grapes for the perfect way to end any meal.